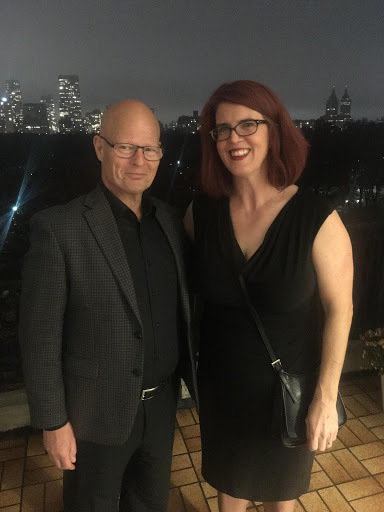 WILSON, N.C. - Dec. 11, 2018 - PRLog -- On November 26th, Brick Scholars Founder, Megan Oteri of Wilson, North Carolina, was invited to meet the General Consul of Finland, Manu Virtamo, in New York City to learn about the Finnish education system. She was invited to a dinner at the General Consulate on 5th Avenue in NYC to learn about a new augmented reality teaching system, 3D Bear, used by Finnish and American educators. Those in attendance heard from 3D Bear CEO, Jussi Kajala who described 3D Bear edtech pedagogy and application uses. Other educational leaders were also in attendance sharing their 3D Bear augmented reality learning experiences, including Dr. Monica Burns of Class Tech Tips, and Susan Sclafani, media specialist and librarian, from Oregon Middle School. Oteri received a STEAM scholarship to use 3D Bear in Brick Scholars' enrichment programs to highlight augmented reality as a learning tool and infuse design thinking into educational curriculum. Only two other schools in the United States received scholarships. The scholarship competition was sponsored by 3D Bear. Ms. Oteri's firm, Brick Scholars, based in Wilson, NC, offers professional development programs for businesses and STEAM workshops for K-12 in schools, camps and community programs. She also provides experiential employee engagement and team building activities for business teams to help them develop their spirit of creative play, as well as to improve team collaboration and communication, increase employee engagement, and help teams innovate solutions while developing their soft skills. Ms. Oteri is the Let's Brick Ambassador for the Agency for Cultural Diplomacy in Vienna, Austria.